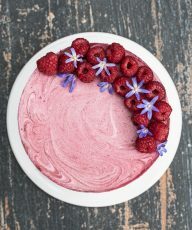 A beautiful, ombre Vegan Raspberry Cheesecake that is actually much simpler to make than it looks! Every once in a while I get an idea for a specific type of vegan cheesecake I want to make. That is exactly how to Vegan Raspberry Cheesecake came about. I had imagined this raspberry cheesecake having different layers of pink with a slight swirl on top. I also wanted to use agar agar this time. It’s the first time I’ve posted a vegan cheesecake recipe using agar agar. The reason being is that I really wanted a cheesecake that would keeps it’s form/shape even when the temperature starts to heat up. Vegan cheesecake that are tofu based or solely rely on a cashew/coconut base tend to not do well in warmer weather. 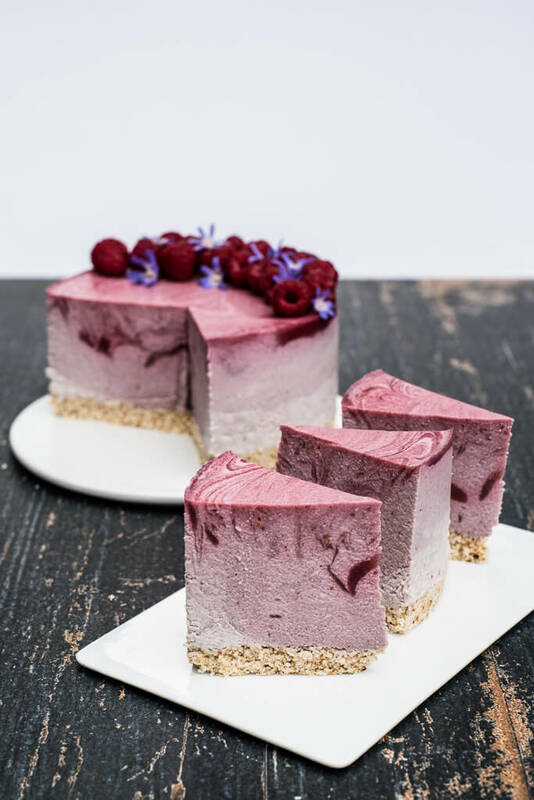 That being said…this vegan raspberry cheesecake still tastes best chilled but you really don’t need to rush putting it in the fridge the minute you’ve taken it out. Plus agar agar sets the cake so nicely that edges almost seem flawless. It’s even prettier from the top! 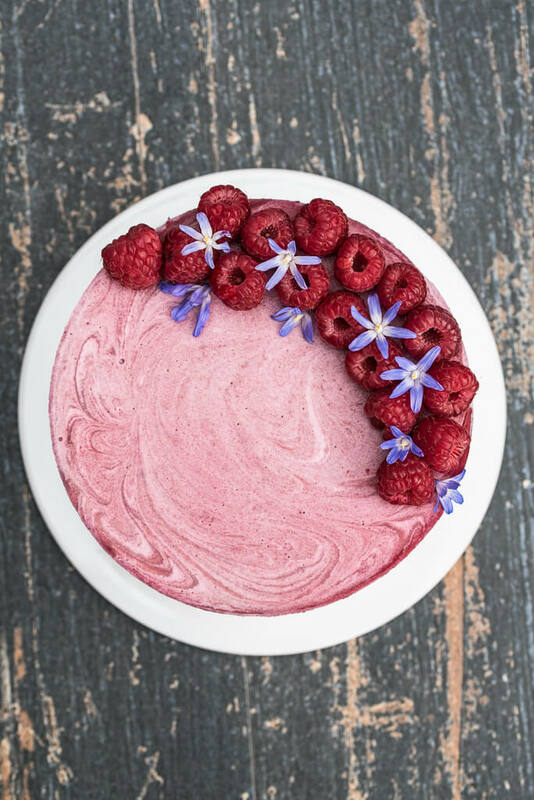 Extra fresh raspberries aren’t even needed for a garnish but I think it gives this vegan raspberry cheesecake a whimsical touch that is perfect for easter/spring/summer parties. 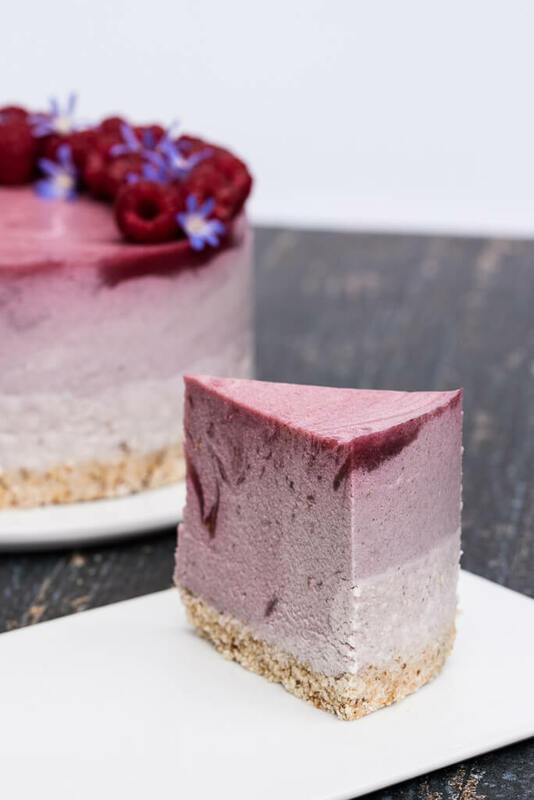 The raspberry swirl reaches deep into the vegan raspberry cheesecake and the velvety, rich cream with just a touch of sweetness is hard to resist. Date sweetened desserts are so wonderful! 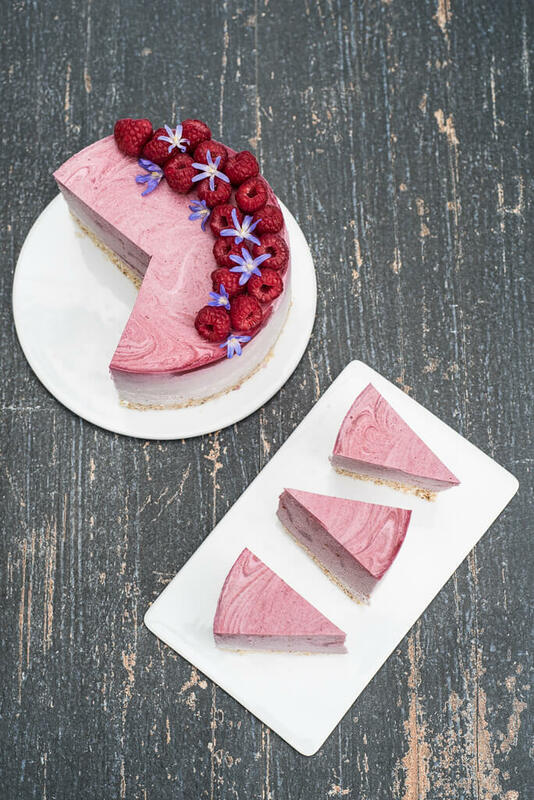 Read the directions to make this Vegan Raspberry Cheesecake first BEFORE starting to make it. Agar agar sets very quickly so you don't want to reread the directions over and over again while making this. Prepare the cheesecake crust by pulsing the crust ingredients (dates, coconut, and salt) in a food processor. Be careful not to blend the ingredients. The crust should still have some texture to it. Press the coconut-date mixture firmly and evenly into the bottom of a 6" cake ring (see notes). Set aside. 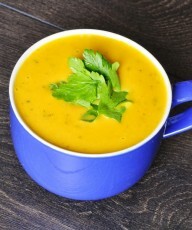 Prepare the coconut base by blending the soaked cashews and 1 cup of the coconut cream. Slowly add more coconut cream until well blended. 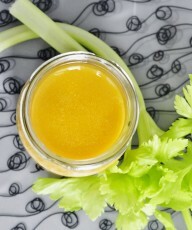 Then add the lemon juice. Don't over mix the lemon juice with the coconut-cashew mixture or the coconut cream will begin to curdle. Divide the coconut base evenly among 4 bowls. This should equal to slightly less than 1 cup in each bowl or roughly 205g. Set aside. Prepare the raspberry base my pureeing the fresh raspberries with the dates. Strain the raspberries to remove most of the seeds. If you do not want any seeds at all in your cheesecake, use cheesecloth. Add the raspberry-date mixture, water and agar agar to a small saucepan. Heat the saucepan over medium-high heat and simmer for 1 minute. Work quickly now because agar agar will set fast. Add 10 tablespoons of the raspberry mixture to the first of the four bowl with the coconut base. 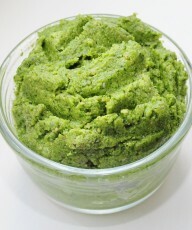 Add 7 tablespoons to the second bowl, 5 tablespoons to the third bowl and 2 tablespoons to the second. You should still have some of the raspberry base left over. Quickly, use a spoon to mix the raspberry base into the coconut base in each bowl. Take your cake ring and spread the lightest colored (with only 2 tablespoons of raspberry base) coconut-raspberry filling over the crust. Next take the second lightest colored (with 5 tablespoons of raspberry base) coconut raspberry filling and pour/spread that over the first layer. Continue this with the other bowls, working lightest to darkest. Finally, add the leftover raspberry-date mixture on top. You can swirl this with a sharp knife for a prettier effect, if you like. Chill the cheesecake in the fridge for at least three hours before removing the cake ring. 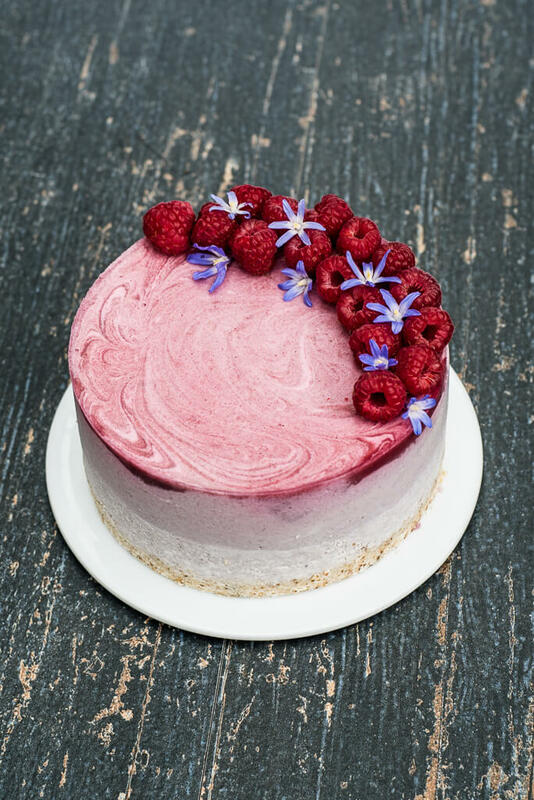 Garnish the cake with some fresh raspberries and some edible or decorative flowers before serving! 1.) I find it best to use an adjustable cake ring for vegan cheesecake recipes. They let you adjust the size of your cheesecake and it's so easy to remove them once the cake has set.2.) You can buy coconut cream on its own. However, I think the easiest way to obtain coconut cream is by letting a can (or two for this recipe) sit overnight in the fridge. Carefully remove the can from the fridge and open it up. 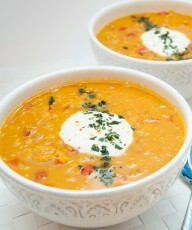 You will notice that the coconut milk will have separated into a thick white cream layer and a coconut water later. 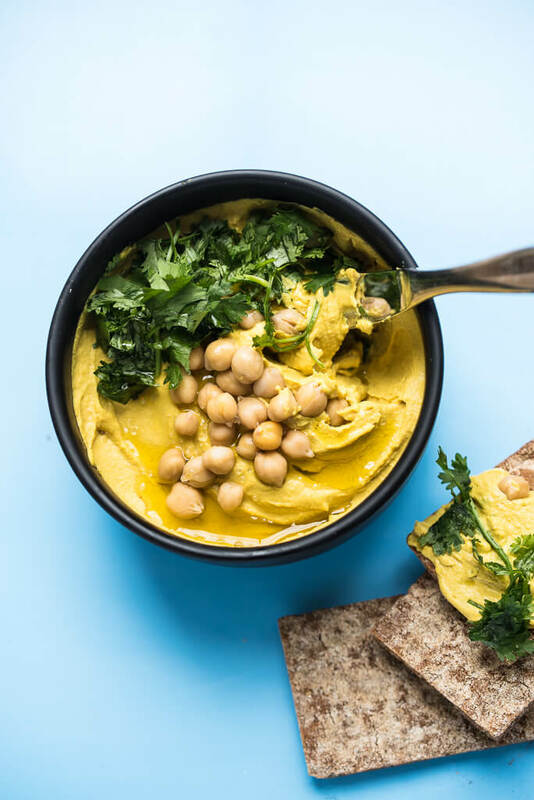 Just scoop the thick coconut cream out of the can and discard or use the coconut water for a smoothie or light stir-fry later.3.) 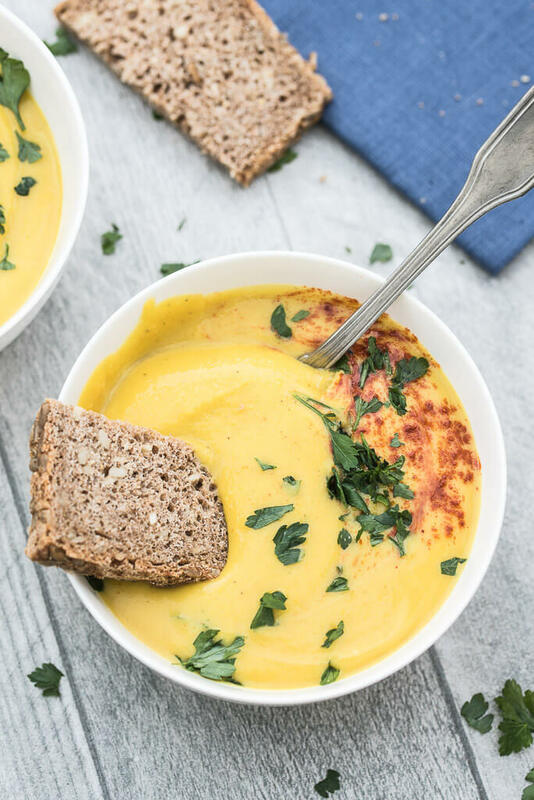 The directions can really seem overwhelming at first but I promise it's not hard to make! If you really don't want to or don't have the time to separate the coconut into four different bowl to make different colored layers then you can just add all the ingredients together before spreading them over the crust. 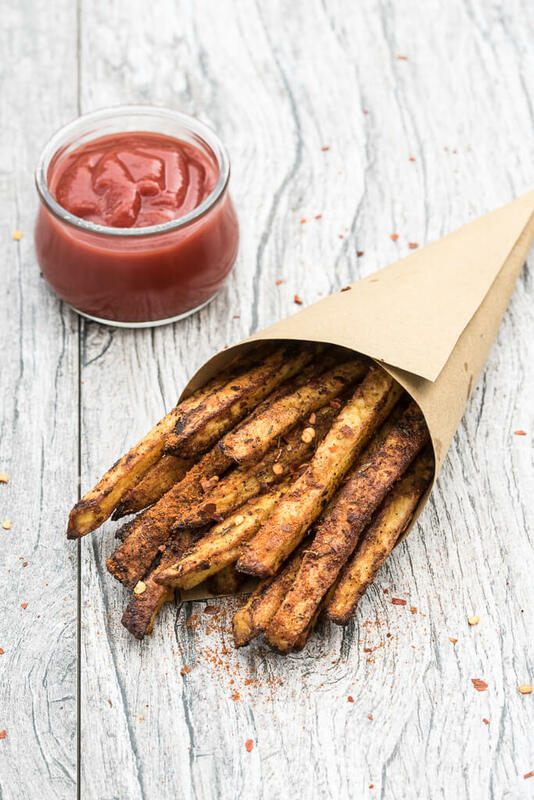 « Rosemary Garlic Fries – SUPER Crispy! 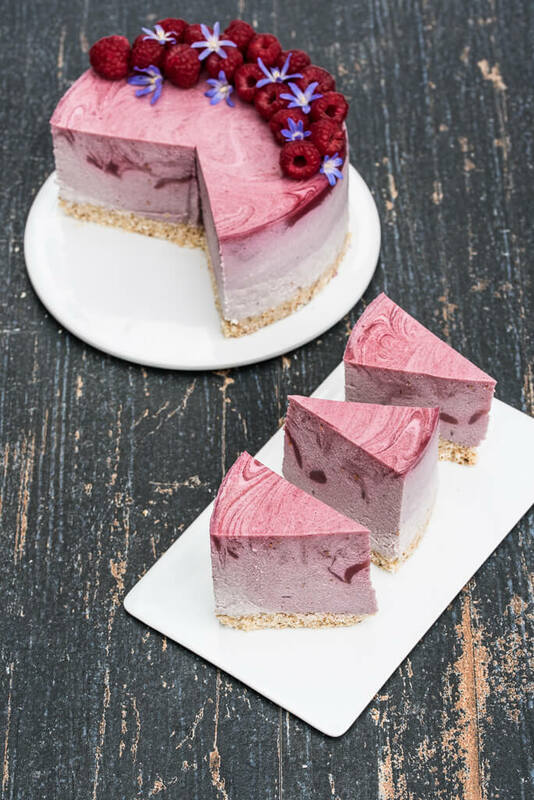 I would certanly love a slice of this creamy raspberry delice! I’ve also used agar agar in some of my cheesecakes, it’s wonderful stuff huh? 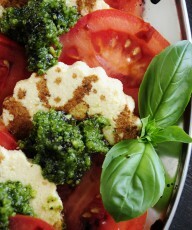 I love this recipe, it sounds delicious and oh my it’s so pretty! What a beautiful cheesecake! I’m so glad raspberry season is just about here! 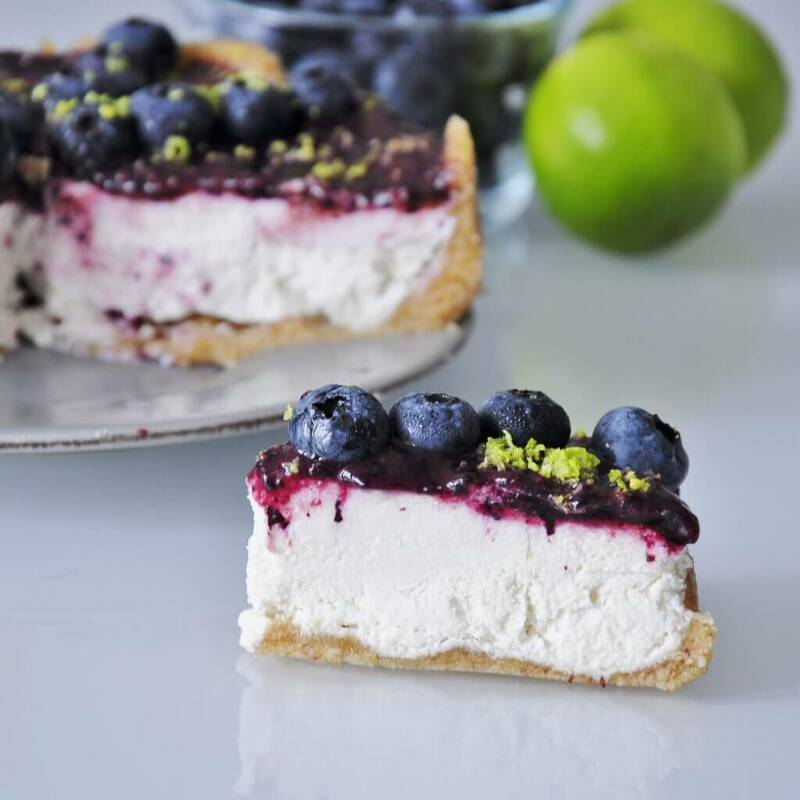 Oh wow – this cheesecake is gorgeous! I love how rich and creamy it looks and the vibrant colors from the fresh berries! 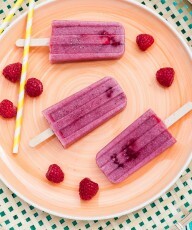 This looks amazing, perfect summer treat and love the colors. Thanks! That looks too pretty to eat! But too delicious not too! Thanks for sharing!! So beautifully presented! Love the use of decorative flowers as a final touch. 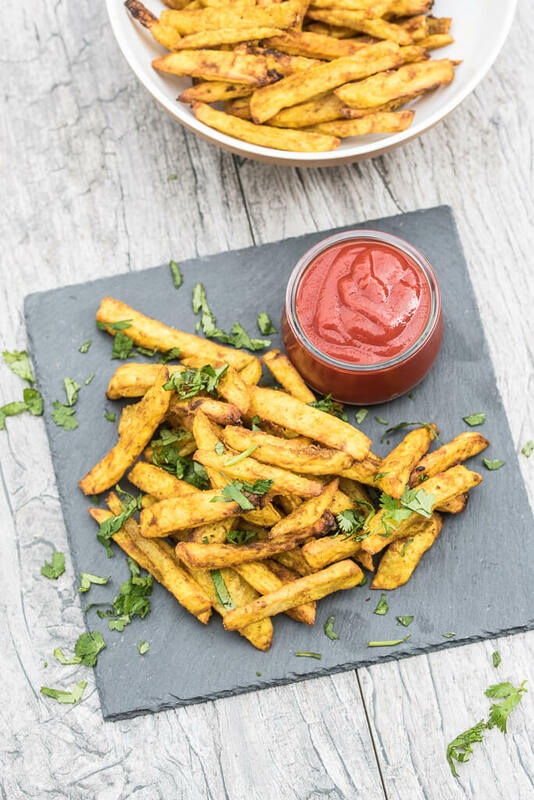 Glad to find your recipe as I’ve been looking for one that was gluten-free as well as vegan. Thanks! 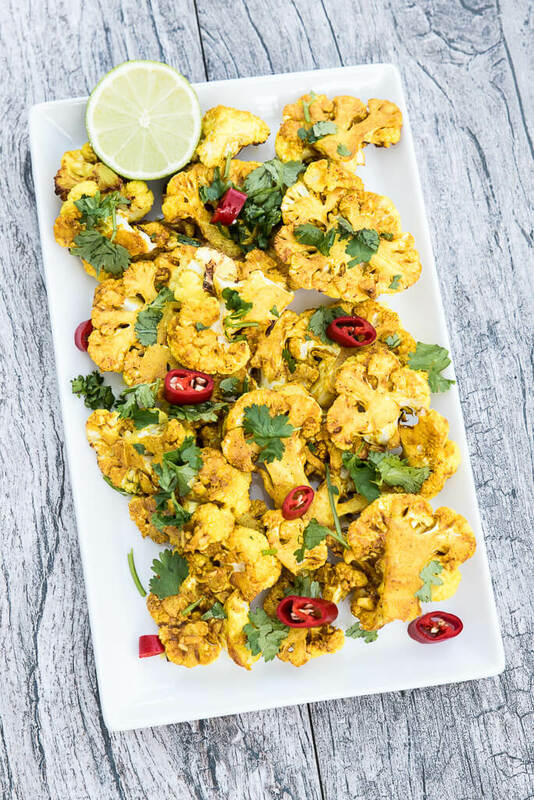 Hi Chana, Cashews are pretty unique to this recipe and aren’t really replaceable with other nuts. 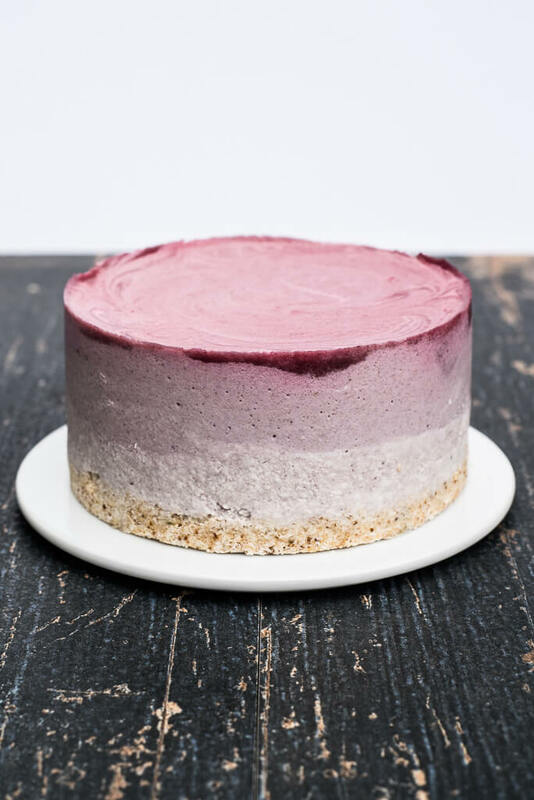 Maybe a tofu-based vegan cheesecake would be better for you? Has anyone TASTED this cake? It looks fantastic, but there’s no sugar 😳 Lol! I ended up making 2 of these. One was following the recipe. I found it a bit plain. For the second I did everything as directed, but added 1 Tbsp brown sugar to the crust and 1/2 C icing sugar to the “cheese”. It was just right. I just made it and unfortunately it was a disaster. 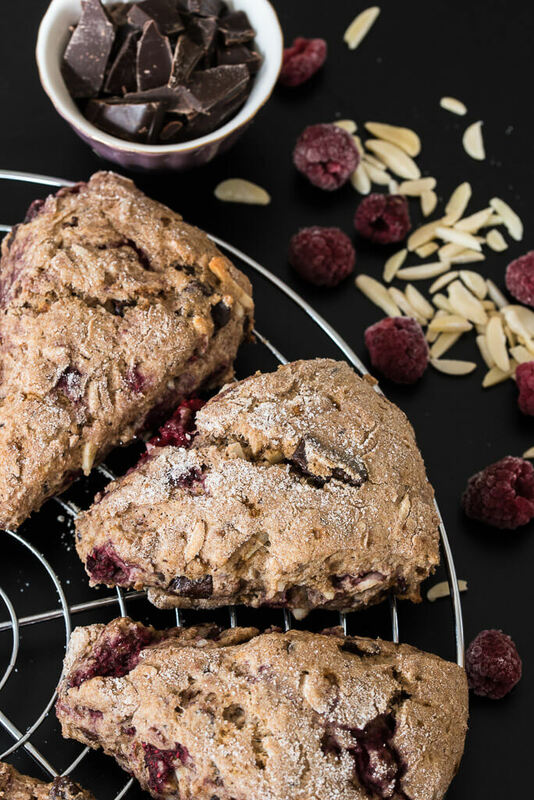 The only thing that I did different was that I used strawberries instead of raspberries. I put it in the fridge for 3 hours and didn’t get firm. So I put it in the freezer for 2 hours and it was like a yogurt. Hi Chana, Any chance you added more liquid than you should have? I haven’t made it with strawberries but they might be juicier than raspberries and will add more water to it then. Maybe . Also I notice that even though I put the 3 cans of coconut milk in the refrigerator for more than 12 hours , when I open them they weren’t tick as always. I use so delicious regular full fat and usually when you put them in the fridge you don’t have to separate the cream from the water because they become very solid.